Is your Los Angeles home feeling cramped, crowed or outdated? If it is, these are signs of a home that needs remodeling and chances are you may be thinking about purchasing a new home that has all the amenities you need. Instead of spending time searching for a new home and a new neighborhood, consider remodeling your existing family home in Los Angeles. Custom home remodeling can update the look and feel of your home, provide you with modern appliances and amenities, increase your home’s square footage and give everyone their own space. Are your kitchen cabinets cracked, worn and fading or are you tired of your small bathtub/shower combo? As homes age, they can begin to feel outdated and the finishes can start wearing out, which can make your home feel outdated, drab and dreary. Remodeling your Los Angeles home allows you to change out the old flooring, replace worn-out cabinets and appliances and restructure your bathroom so that it is calm and relaxing as well as functional. So be weary of rooms or spaces that feel outdated as those are usually signs that a home needs remodeling. Another sign that a home needs remodeling is a termite or rodent infestation. Termite and rodent infestations mean that your home is leaking water or has had a water leak, and you have holes leading from the exterior of your home to the interior. A home remodel in Los Angeles can help rid your home of pest infestations by replacing rotten wood, finding and replacing old plumbing pipes and sealing your home’s exterior with new siding and insulation. Interior and exterior paint can be expected to last up to 25 years. However, as your home’s paint ages, it becomes faded, chipped and stained.Worn down or chipping paint is one of the best ways to tell if your home needs remodeling Having the interior and exterior of your Los Angeles home repainted can freshen its look, add new life and increase your home’s market value and curb appeal. Modern homes are typically designed with open floor plans, which helps give them a light, airy feel. If your home is a little older, it may have small rooms or not enough bedrooms and bathrooms for your growing family. So if your home feels crowded, then chances are your home needs remodeling. Remodeling your home by removing unneeded walls and performing bedroom and bathroom additions can increase your home’s usable square footage, give everyone in your home a place of their own and make your home more relaxing and comfortable. If you are noticing the aforementioned signs, then your Los Angeles home needs remodeling. Remodeling your home is a great way to add value, improve its look and feel, add square footage and remove and deter pest infestations. 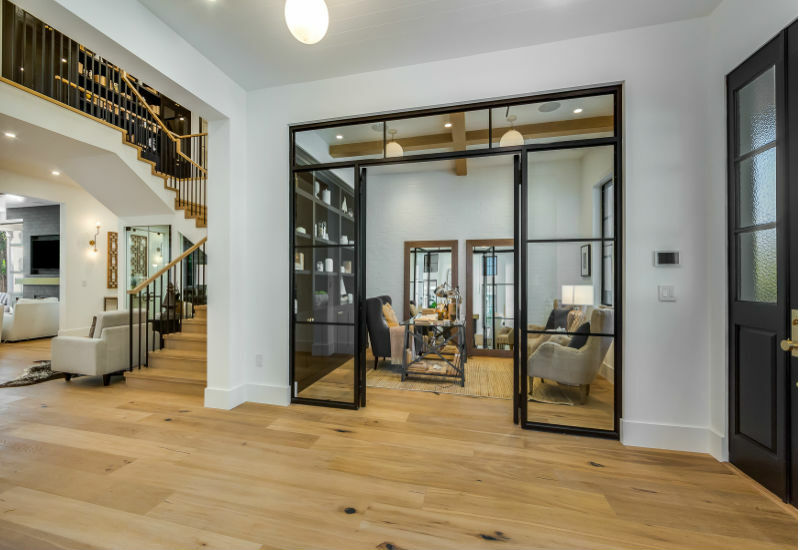 To learn more about our remodeling services and how they can make your home feel more homey while increasing its market value, call Landmark Construction Crew at 818-319-4970.